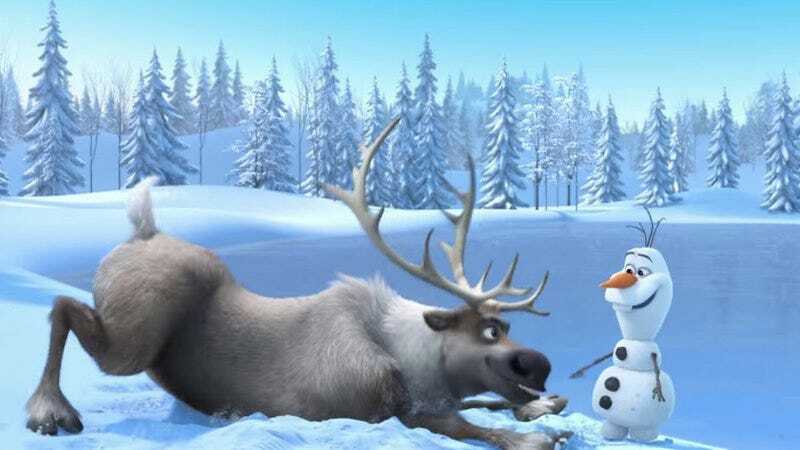 Last year, independent animator Kelly Wilson filed a lawsuit alleging that Disney plagiarized her short film “The Snowman” in one of its trailers for the blockbuster hit Frozen. At the time, we speculated that there may indeed have been something a little fishy about the whole business. And now, after two failed attempts to get the lawsuit thrown out of court, Disney has apparently decided discretion is the better part of valor. In a posting bookended with puns so groan-worthy they could and should inspire a far superior A.V. Club comment thread, Deadline reports Disney has settled out of court with the animator for an undisclosed sum. So, let’s get to it, shall we? Disney failed to break the ice the first time it tried, back in July of 2014, to get the lawsuit dismissed. The judge in that hearing decided to “Let It Go” forward, and so the entertainment giant tried again in April. Again, temperatures plunged, and cooler heads prevailed, permitting Wilson to plow ahead with her charges. Given that Disney probably wants this bitter wind of plagiarism to dissipate before it precipitates further negative publicity, it chose to settle rather than test its luck in such a chilly legal environment. Now, Disney can announce Frozen 2 without the legal equivalent of a tongue stuck to a lamppost hanging over its head. Also, something something icy Olaf the snowman Kristen Bell Adele Dazeem.